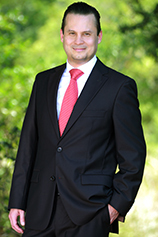 Ignacio G. Martinez is a licensed attorney in Mexico and Texas. 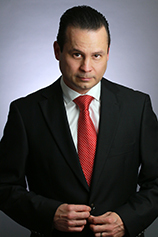 He is a litigator whose practice focuses on the following areas: Commercial; Personal Injury, Insurance Claims, International; Immigration, Business/Investor’s Visas, Federal and State Criminal Defense; and Cross-Border Transactions (U.S. – Mexico). 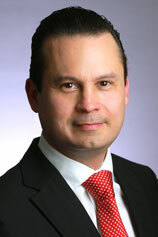 In the litigation and corporate areas, Mr. Martinez has represented individuals and corporations from various countries in connection with their business transactions and/or litigation concerns. 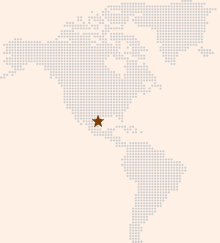 Prior to having his own legal practice he was in charge of the International Area at Torteya & Torteya, P.L.L.C. Mr. Martinez also worked for an international law firm handling the incorporation of Mexican maquiladoras (in-bond companies) and Mexican business ventures with foreign investment, including related customs and labor matters. He also served as Policy Analyst for Senator Eddie Lucio, Jr. in Austin, Texas, analyzing bills and policy matters, while responsible for both the jurisprudence and criminal committees and Mexico affairs. While earning his LL.M. in Spain, Mr. Martinez served as the Government Liaison for the Mexican State of Tamaulipas. Mr. Martinez taught International Business Law at the University of Texas at Brownsville. The University of Texas at Austin School of Law (J.D., 2005). The University of Alcala de Henares, Madrid, Spain (LL.M., 2002). University of Cambridge, Cambridge, England (International Law Program, 2001). Instituto Tecnologico y de Estudios Superiores de Monterey (ITESM), Monterrey, Mexico (Law Degree, 1998). Licensed to practice law in Texas and Mexico. Cross-Border issues, Civil Litigation, Personal Injury, Immigration, Criminal Defense, Real Estate, and Foreign Investment.